Shadowing of the left lower lung field with horizontal border, which represents an air-fluid level. Air is present in the left pleural cavity due to pneumothorax. 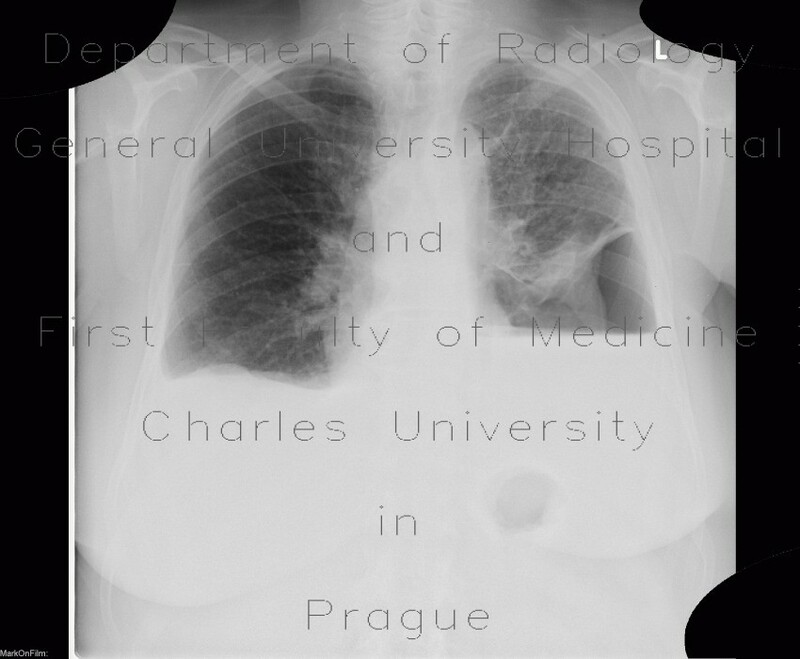 On the second radiograph, a chest tube was inserted in the left hemithorax and the pneumothorax disappeared. Note that an air-fluid level cannot be seen on supine radiographs.